Ribbons and Braids, originally uploaded by theartofmegan. 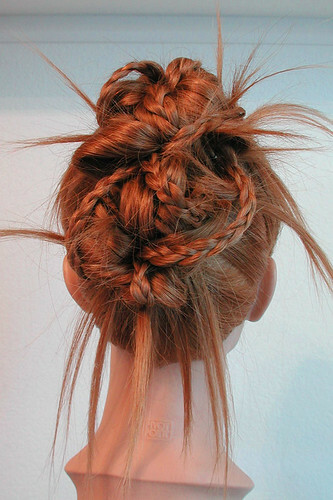 Here's a hair photo of a possible hairstyle for a bride who wants something stylish, fun, and very runway. A little edgier hairstyle with braids and wisps of hair left out.